Six Courses You Need To Invest In! Below is a list of six courses on Udemy that are perfect for people in the apps game (and thats all of us). Apart from all being bargain priced for the next few days at only $10 each, there are courses here I have hand selected for ASO, creating apps without programming, and reskinning. And even my very own Android Lollipop programming course is on the list. Check them out and maybe grab them all if you have the funds. The total price of all 6 courses if you were to pay full price for them is $1152, so you can see this is a huge discount! Click the button below the course information to find out more about that course. Here is more information about the course. This course includes 14 easily understandable lessons + 2 bonus lessons. At the end of these 16 videos you will have an actionable plan for how to growth hack your App Store marketing and level up from beginner to pro iOS app marketer. In each section we’ll first cover the basics of how to best market and optimize your app. Then we will dive into specific tactics & techniques you can apply yourself. I’ve worked hard to make the videos to the point, easy to understand, and focus on what can really GROW your app 10x (not just metric pushing gimmicks), and I hope it shows! The theory and tactics covered are focused on app marketing for the iOS 7 and iOS 6 App Stores. If you’re looking at this course, you probably have published or are thinking about publishing an app or game to the iOS or Google Play App Store. But with 1.5 million apps in each app marketplace and 10’s of thousands of apps being added every month, how do you get your app noticed? 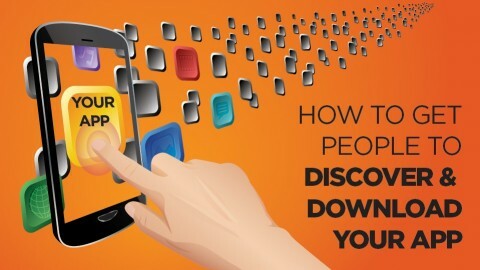 How do you get more downloads for your app? The iOS App Store & Google Play Store are the biggest sources of free traffic you can get for your app. It makes sense to invest your time and effort into getting this traffic. You just need to know how to optimize your app listing to drive traffic and ultimately get more downloads for your app. That’s where this course on App Store Optimization (ASO for short) can help. No fluff, no filler, no long boring lessons to take up your valuable time. Just easy to understand & immediately actionable instructions on how you can increase your app’s visibility and get more downloads. This course goes over specific optimization strategies for both Apple’s App Store (iOS 8) & the Google Play Store (Android). So go ahead, take this course now and get more downloads today! 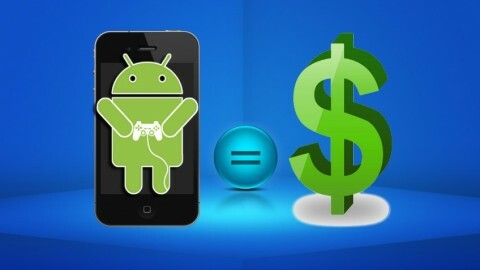 Our strategy on Android game development, finding profitable niches & app store optimization. Make Money From Apps. It is an exciting time to get in to the mobile world as it is just in it’s beginning stages. Each app that you make will become a virtual property, imagine what they will be worth in 5 years time…don’t, get left behind! We started making apps in October 2013, currently we have made to date over $29,000.00 in revenue from our apps. The first month we only made $54.00, the next month we made over $500.00 and the next month we made over $2500.00 and it keeps growing every month. See earnings proof video below. 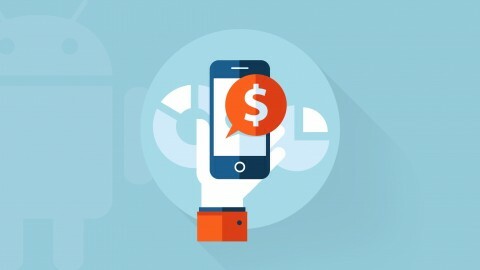 If you want to start a app business and make a passive income with apps then this course will show you how. *We will show you step by step how to take one game and reskin it to make 100’s of unique games without having any previous knowledge of coding…In fact, there is zero coding involved! The game software is very easy to use and will make creating Android games simple and fun. *We will guide you through the entire creation of an Android Game App, from the idea stage all the way through to the finished app. *Not sure what type of game you want to make? We also provide you over 100 different game ideas! Learn how to make games without writing a single line of code! FACT: This course is the easiest way to start your journey into game development. Traditionally game development is viewed as extremely difficult and hard to master. You imagine thousands of lines of code and spending hours infront of a computer screen. Luckily in the past few years technology has made it easier to learn and produce games. In this course you will learn the basics of game programming through a fantastic visual programming language. This way you will learn how to program without the hassle of writing code. 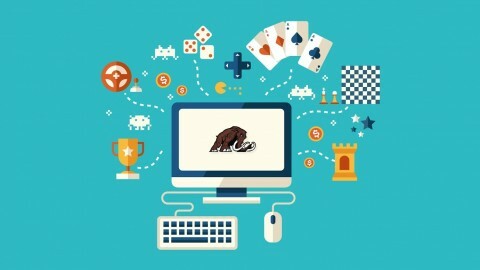 In this course you will learn how to start making simple games and I will show you how to make a profit from your games. You can add your game to your resume. Ever wanted to create mobile games but didn’t know where to start or thought that you will never succeed? With Android Apps Reskinning for Fun and Profit you will have both of fun, and hopefully profit while reskinning Android apps. Why fail when trying to create an app from scratch, investing hundreds of dollars, when you can legally modify an existing one? And the best part…you get to publish the app and attract millions of potential users on Google Play Store and other Android Marketplaces. Start you Mobile App Empire today with Android Apps Reskinning for Fun and Profit ! Please watch free lessons for more information on what to expect from this course. 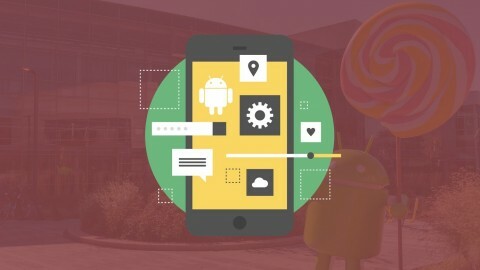 Course 6 – The Complete Android Lollipop Development Course-Build Apps! Android 5.0 development from beginner to advanced in 5 weeks – learn by building 14 real world apps on your computer! This is the #1 Android course on Udemy and is getting better and better each week! Over *** 9,300 students *** have signed up for the course and are learning how to become Android developers with over to TWENTY FOUR (24) hours of content already added and more being added each week! Now including setup and installation videos for Windows, Mac and Linux! In this course, learn how to build progressively more complex Apps using Android Lollipop: you will start off by building basic apps, and progress to a calculator, an app that downloads a list of top 10 apps each day, and even your very own Youtube video player. Note – 6 apps are already ready to go in the course for you to type along and learn, and another eight are being added in the coming weeks. 14 apps in total! The focus for the first five apps is Eclipse (Android Developer Tools) and then from the 6th apps onwards all apps will be developed using Android Studio. This is a 100% unique approach to ensure you have skills in the two most popular development environments for Android, whilst ensuring you stay up to date with that latest tools like the recently released Android Studio. Closed caption support added – Perfect for people who do not have English as a first language or have hearing difficulties, or just for people who prefer sub-titles on videos. You will be able to turn closed captions on and off at any time! The $10 promotion expires February 9th 2015, so get in fast! GREAT VIDEO TRAINING COURSES YOU NEED TO LOOK AT! New Reskin Course Now Available! 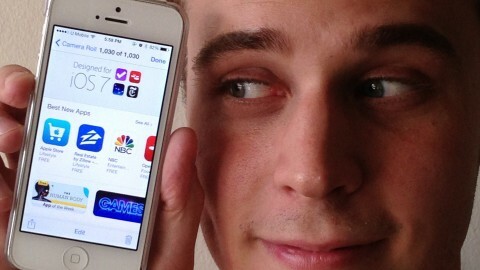 Black Friday Special —> App Store Optimization for Beginners - SEO for Apps.